There is obviously a pattern to beliefs that the health industry would like people to take on board as gospel, even when these statements are un-supported by clear evidence. Sunlight causing cancer is one, sunscreens preventing cancer, fat being the culprit and not sugar (watch as we go forward, there is going to be more about how sugar is the evil, not fat), and another one is (imho) EMF and wireless radiation (I have no doubt that over time there will be more evidence of the harm these invisible rays cause). 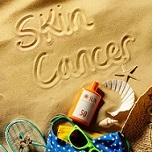 I won’t go into detail about what the article says about sunlight and sunscreens, as you can read it at your leisure, however I’ll just suffice to say that a) the sun has been unfairly getting a rough ride from the health media by being blamed for cancer and b) suncream – well, just save your money. More about the Sun's Energy: "Scientists reverse stance on sun and cancer: Now they admit sunlight can prevent skin cancer"
My own experience is that if you start off with a bit of sunshine in spring, and build up your exposure day by day, by the time summer comes around, with fierce sunshine, the body has already taken protective measures – i.e. a tan – and I could stand hours of strong sunshine without even going red. It is probably one of lifes great ironies that a significant amount of my exposure to build up a tan prior to going for long walks by the sea, was going outside work every hour or so to have a cigarette ! It’s strange how one (probable) cause of cancer was saving me from another. I haven’t smoked for 17 months now, and I have never felt less healthy than I do now (although I do feel richer). Sometimes life is very strange ! Hey Bill – how come you feel less healthy now? I would have thought you’d be feeling clearer in the air passages at least? As for sunshine it is marvellous for sure 🙂 Keep up the good work with the ciggie-free zone. One thing I’d recommend is Yerba Mate tea which is not only good for you but takes away appetite! (I shall add to the storefront at some point soon). I’ve been drinking it for the last few weeks and I must say it works to reduce feelings of hunger. I am familiar with Yerba Mate (pronounced mat-ay). I used to work above one of (or maybe the only) importer of it from Argentina. I don’t know if he still trades. The website for the company doesn’t seem to exist any more. If you add it to your storefront, as you say you will, don’t forget the traditional utensil that is one third spoon, one third straw, and one third strainer, to go with it.